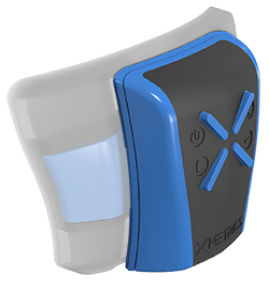 Back in 2014, Xmetrics, an activity tracker for swimmers raised over £20,000 on Indiegogo. Prior to that, the company secured $1 million from investors to make its virtual swimming coach, which clips onto a pair of swimming goggles, a reality. Fast forward to 2016 and the Italian based startup now has two trackers currently up for grabs. There's one designed for the pros and the other for the recreational swimmer with plans already in the works to launch more trackers before the end of the year. We managed to grab some time with Andrea Rinaldo, CEO of Xmetrics to find out what happened next after the crowdfunding success, and his thoughts on the current state of wearable tech. When we take Rinaldo back to the time of the successful Indiegogo campaign and all the important investments, he only has good things to say about the experience. "Crowdfunding is a great marketing tool to let people know about your product and your campaign," Rinaldo explains. "We had exposure on the biggest websites and in magazines about swimming. Without even having the product ready, we had the feedback of the customers. It was very helpful for us because it really helped us to shape the product. Our target wasn't to sell the device but to do some valuable marketing research." Startups in the past have spoken about the value of feedback from those who have decided to invest, whether that's a few hundred dollars or a significantly more. It's clear that this was a vital part of the process of building the Xmetrics tracker as Rinaldo says. "The feedback influenced the final product a lot. You can have a great idea, but it's the customer that really matters," Rinaldo explains. "We understood that some of the features we initially discussed were not right. There were some other features like tracking pace, the feedback on calories and the coaching elements that did make it. These features were not actually on the roadmap for the first version of the device." What Rinaldo is extremely aware of is that the swimming wearable space has changed a lot over the last couple of years since the idea of the Xmetrics tracker was first hatched. "The number of companies in the swimming segment is exploding," Rinaldo explains. "When we started, it was just three companies. Now there are 18 companies. At the time, 100% of the companies focused on tracking from the wrist. Now half of them have moved the tech to the head. Some are built into swim suits. "Most have realised that the wrist is not the best for tracking swimming and the head is the best position. Everyone is moving in that direction. The good thing is that previously, companies were taking devices made for running and tailoring them for swimming. Now they are making something specific for swimming." As the swimming wearable market grows with fitness trackers like the Moov Now and smartwatches like the Garmin Vivoactive, Rinaldo doesn't see the increased competition as a bad thing. In fact he sees things the entirely opposite way. Well, apart from one company that he refuses to name. "For our specific market, which is for swimmers, the competition, we have seen products coming from the other side of the world that is exactly our product but with a different colour, a different name but worn on the same position offering the same feedback," says Rinaldo. "It's a compliment to think someone wants to copy our product. It's not a good product though, so we are happy with that." He's not shy to talk about what he believes companies are getting wrong with wearable tech and feels many are not getting their priorities right. "I would rename wearables to usable and durable device," he says. "Most of the devices that are being sold, are being used in the first month and then put somewhere forever and forgotten about. "I think it is very important that the subject is the user not the device. This is why we didn't do a bracelet and opted for something you put on your head. The interactions should be limited. I have a smartwatch but I think the interaction with a smartwatch is unnatural. The user should just turn (it) on and do nothing else." So what's next? 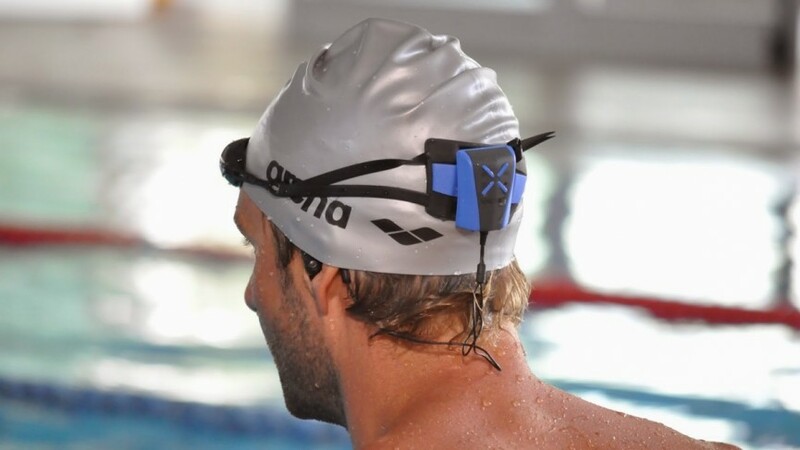 What does Xmetrics have in store for swimmers that want to closely track performances in the pool in real time? A lot rides on the success of the first generation trackers but the work has already started for the next phase. "We are going to announce a new product before the end of the year," Rinaldo explains. "We will have new sensors and we will be focusing on the software and the data too. We want to work on our platform to create something for the community of people that are using our product. You will see in the summer, where we hope to be integrated into existing fitness app services such as Strava and Swim.com."